At National Elevators, we have achieved many awards that are highly regarded by our customers throughout many different sectors. 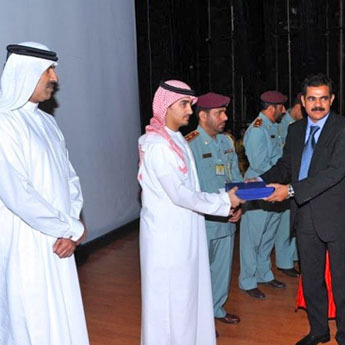 Mr.Yaseen Noorullah, Director of National Est., Group received "Special Recognition Award" from Shaikh Maktoum bin Mahmouhd Al Sharqi for 'Elevators Rescue training' provided for Civil Defense Staff in Fujairah. "Excellence Award" was conferred to National Elevators in appreciation of its outstanding contribution to industrial development, received by Mr.Hussain Basha. 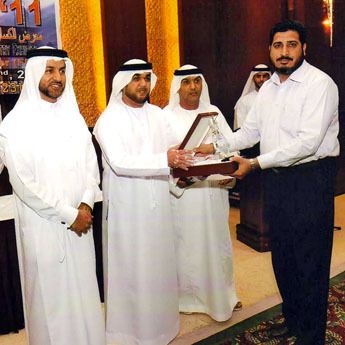 Mr. Sikander Khan, Branch Manager received appreciation award & certificate from Fujairah Chamber of Commerce & Industry on December 21, 2011, towards participation in BUILDEX-2011. We are dedicated to utmost professionalism with installation & commissioning to suit economical needs and to ensure the highest level of service quality.